This is my fiction. This is my world. Welcome. I'm expanding this universe. Right now, it revolves around an elite government agent named John Brynstone. 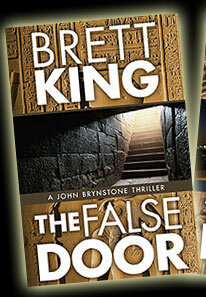 He plays the lead in my first two thriller novels, The Radix and The False Door. 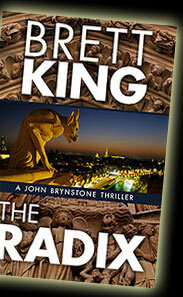 I am writing a brand new series as well as a third John Brynstone thriller. Take a look around. Be sure to sign up for my newsletter and get in touch to share feedback or ask a question. I'd love to hear from you! Site design © & maintenance by xuni.com. All content © 2013-2019, Brett King.